Concerts, circus performances, the Lichterschwimmen candle-floating event and the Fairy Tale Tram transform Zurich into a magical place at Advent. Spectacular events create a magical Advent mood in Zurich. 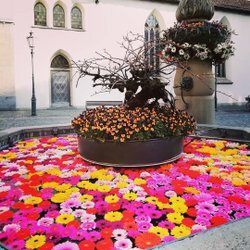 The Lichterschwimmen floating candles event has delighted spectators for over half a century, while the Circus Conelli on the Bauschänzli and the official switching on of the Christmas lights along the Bahnhofstrasse are just two of a whole host of highlights during the Advent period. From November 15 to December 30, 2018, the National Museum is transformed into a winter wonderland of lights, illumination, illusion and cuisine. The circus with a difference sweetens the cold winter months with artistry and music. Allow yourself to be captivated by the enchanting atmosphere at Zurich’s Christmas markets. This Christmas market enchants with its unique daily concerts. For children, the best way to enjoy Advent is on a trip in the "Märlitram" by Jelmoli. Angels read their young passengers Christmas stories while the festively decorated streetcar trundles through the city. Not for the fainthearted – the “Samichlausschwimmen” swimming event takes place in Zurich in winter. This race always has a great atmosphere. Whether wearing fancy dress or regular sports gear, competitors of all ages run through the festively lit Old Town. In Zurich, the New Year is greeted in style with a spectacular fireworks display over Lake Zurich. 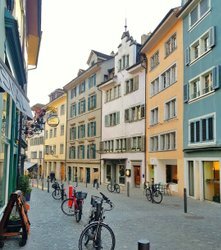 These cozy Zurich cafés are the ideal place for guests to unwind and warm up in the wintertime. Sporty excursions and leisurely tips for chilly winter days in Zurich. 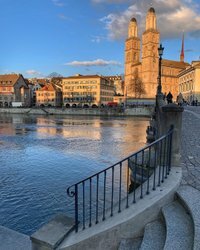 Zurich without its traditional Swiss cheese fondue is inconceivable.